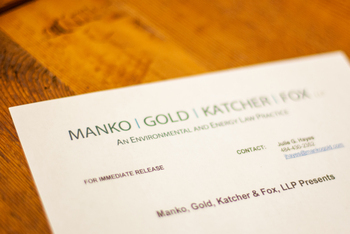 Manko, Gold, Katcher & Fox was included in Law360’s “100 Best Law Firms for Female Attorneys” listing. This was the first time Law360 made these rankings, based on the firm’s female representation at the partner and non-partner level and its total number of female attorneys. MGKF was ranked 41 on the list of 100.